Wateen Telecom, Pakistan’s leading converged communications enabled internet connectivity by deploying high speed Wi-Fi Hotspots at Lahore Literary Festival (LLF). 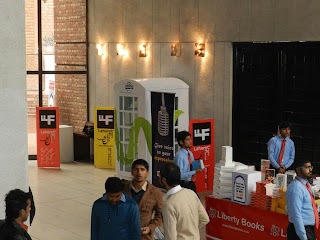 The inaugural LLF, was held on the 23rd and 24th of February at the Alhamra Arts Complex, with aims to revive the spirit of art and creativity in Lahore. The festival is a first step in re-establishing Lahore as the cultural heartbeat of Pakistan and enriching the cultural experience of the city’s residents by creating an institutional platform for fostering and furthering Lahore’s literary traditions. According to certain estimates around 30,000 people attended the two day festival. As part of its support for the Festival and Lahore’s revival as Pakistan’s cultural capital, Wateen Telecom provided guests and visitors at the event with continuous high-speed wireless broadband. About 2,000 people per day took advantage of free Wi-Fi Hotspots that was being provided by Wateen Telecom at the Alhamra Arts Complex for the Lahore Literary Festival (LLF). At this two-day highly successful event more than 4,000 people registered for the service, which they used to download and upload content utilizing Wateen’s continuous high-speed wireless broadband. In addition, Wateen placed experiential kiosks specially designed for the Literary Festival at the venue. The kiosks, known as ‘Freedom Booths’, had laptops fitted with web cameras through which visitors recorded their video messages about their experiences at the Festival. As a further commitment to supporting the arts, Wateen permanently donate the necessary WiFi equipment to the Alhamra Arts Complex for continued future use. 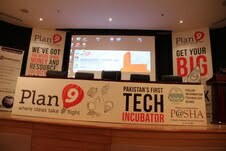 Plan9 has taken over the tech space in Pakistan by a storm. 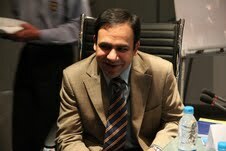 Recently, formed under the astute leadership of Dr. Umar Saif, Chairman, Punjab Information Technology Board, it held its first ever “Investors Conference” at the Arfa Karim Software Technology Park, Lahore, in collaboration with My Biz Pakistan and Angel’s Den. The conference was attended by like-minded, accomplished and passionate businessmen, entrepreneurs and tech stars where they discussed and shared their views on how to help the startups grow and prosper with the right kind of financial investments. The aim of the conference was to create an opportunity for leading businessmen, globally accomplished angel investors and academicians to discuss the need and potential of investing in the local IT industry and how we can put a halt at the alarming situation of brain drain. Noted guests at the event included Chairman PITB Dr Umar Saif, Syed Babar Ali, Babar Ahmed, Bill Morrow, Hussein Kanji, Rob Kniaz, Zahoor Motiwala, Shahid Niaz, Hafiz Awais Ghani, Noman Ahmed Khan, Salem Rehman, Osman Saifullah, Taimoor Hazir, Badar Khushnood, Humayun Mazhar, Afaque Ahmed and significant others. The conference was chaired by Bill Morrow who is a “Serial entrepreneur, who has been creating, building and selling businesses for the last 25 years. 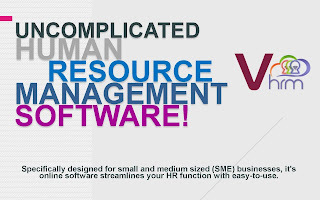 He is founder and CEO of Angels Den, Europe’s largest equity funding facilitators, bringing business Angels and entrepreneurs together” and it was skillfully facilitated by Amer Qureshi, who is a business advisor. Commenting on the event, Mr. Nabeel Qadeer Project Head of Plan9 said, “We’ve successfully managed to put a significant mark on the entrepreneurial landscape that exists in Pakistan. Presenting to you, Pakistan's first Angel Investors Group. 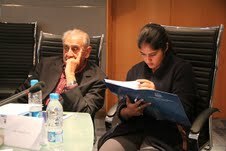 *Plan9 Angel Investors Club*. Everything's possible"! Recognizing the potential of the Plan9 startups, one of the top incubated teams at Plan9, Eyedeus, received a grant of 5000 USD, for their innovation, devotion and unwavering passion. This conference proved to be a stepping stone in shaping a promising future for the upcoming techpreneurs of Pakistan and it would not have been a success without the genuine efforts of the Plan9 team and the support of the business and tech community. 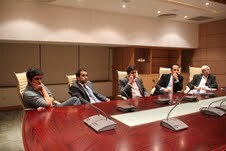 Plan9, Pakistan’s first technology incubator formed under the wing of the Punjab Information Technology Board, held its first ever Bloggers Meet-up at the Arfa Karim Software Technology Park, Lahore, in collaboration with Abacus Consulting and Oracle Pakistan. The event was attended by professional, amateur and aspiring bloggers where they discussed and shared their views on Pakistan’s growing online market and the challenges it faced. Noted speakers at the event included Chairman PITB Dr Umar Saif, Mr Mohammad Khan, Ms Zarin Shoaib, Mr Zia Imran and Ms. Ulrike Reinhard. Plan9 is Pakistan’s first technology incubator formed under the wing of the Punjab Information Technology Board and is housed in a state of the art infrastructure located on the 9th floor at the purpose built Arfa Software Technology Park. 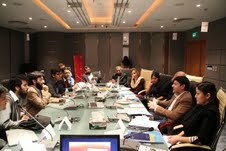 The aim of the project is to promote and be the catalyst for a new wave of technological entrepreneurship in Pakistan. Dell has been selected to provide the provincial government of Khyber-Pakhtunkhwa (KPK) 25,000 Inspiron3420 computers which will be distributed to students in the province. The initiative is the largest of its kind ever in the province and is designed to help enable students and people of KPK to become productive and contributing members of society and to give back to the province. The first round of distribution will be conducted on Feb 10 at Peshawar University. Shahzad Aslam Khan, Country Manager Dell Pakistan & Afghanistan, said we look forward to working with KPK as they increase technology access and the learning potential for students. 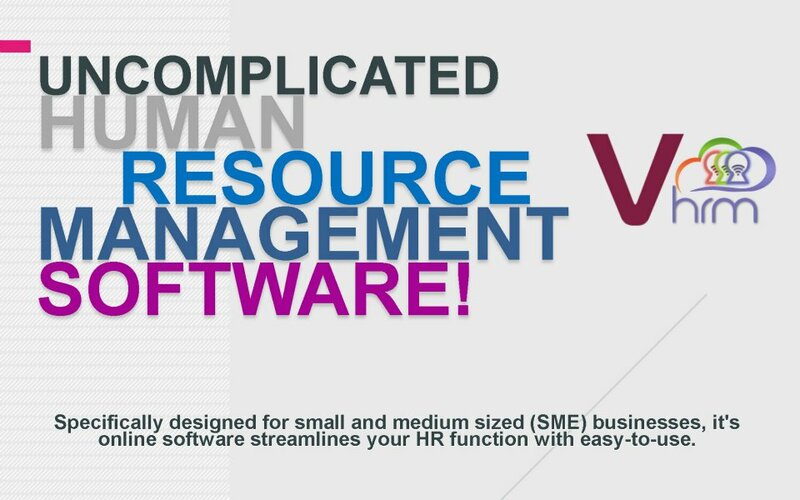 Mobile computing devices have become essential to daily life — at work, at home and increasingly, in academic institutions. Students are leveraging devices of all kinds to access information, collaborate with their peers and teachers, and produce dynamic content inside and outside of the classroom. At Dell, we believe these devices can help support teaching and learning – and have the potential to personalize the learning experience for each student.Dell is delighted to work with KPK in this important program and is committed to providing these devices by meeting aggressive time lines and ensuring highest product quality.